In the previous articles I’ve selected nearly seventy of the Top 100 Collectible American Picturebooks. The first group of books selected was the Marquis 25, landmarks within the genre, so called ‘No Brainers’ since they would be on nearly everyone’s list of classic American picturebooks. Subsequently, a group of ‘Nearly No Brainers’ was selected, a description that is self-defining. Another logical step in the process is selecting the books that almost made the group of ‘nearly no brainers’, which, much to the readers surprise, is fittingly called the ‘Almost Nearly No Brainers’. The ‘Almost Nearly No Brainers’ have many of the qualities of No Brainers and the Nearly No Brainers, however by comparison, did not have all their brethren’s credentials. The value of several of the ‘Almost Nearly No Brainers’ is higher than many of the books previously selected. To reiterate, value was not the penultimate attribute for a book’s inclusion in the Top 100 Collectible American Picturebooks. Wanda Gag’s The Funny Thing (1929) was the follow-up book to Millions of Cats (1928), and was very similar in form and format with dynamic double page spreads, black and white, and handwritten text, helping to establish the picturebook genre. Gag’s ABC Bunny (1933) was another early book in the genre, and in 1934 received a Newbery Honor award from the American Library Association, a couple of years before group initiated the Caldecott Medal to honor this new picturebook form. Alexander The Gander (1939) was Tasha Tudor’s second children’s book, following her Pumpkin Moonshine (1938). Katy And The Big Snow (1939) is Virginia Lee Burton’s third book to make the Top 100 list, following the selection of Mike Mulligan and the Steam Shovel (1938) and her Caldecott Medal book, The Little House (1942). All three books have become children’s classics over the past seventy years, enjoyed by generation after generation, and first edition examples of each are scarce. Dorothy Kunhardt’s Pat The Bunny (1942) is 6th on Publisher’s Weekly list of All-Time Bestselling Children’s Books with over 7.5 million copies sold. At the time of publication it was groundbreaking as a touch-and-feel book for young toddlers. For more on the book, read the 1990 New York Times article "The Original Touchy-Feely: Pat the Bunny Turns 50" written by Kunhardt’s son, Philip, a former managing editor for Life Magazine. H.A. Rey’s Cecily G and The 9 Monkeys (1942) was originally published in France in 1939 as Rafi et les Neuf Singes, the latter being the first appearance of Curious George. The first American appearance of the beloved monkey was the 1941 publication of Curious George, with Cecily G being the follow-up book in the US. Collector interest for first editions in the series have been heightened since the $22,000 PBA Galleries 2007 sale of Curious George. Runaway Bunny (1942) is another collaboration between Clement Hurd and Margaret Wise Brown, and made the PW list of All-Time Bestselling Children’s Books. Little Bear (1957) is the first book in Harper’s ‘I Can Read’ series, which are a counterpart to the Beginner Books launched that same year. Illustrated by Maurice Sendak and written by Else Holmelund Minarik, Little Bear was the first of several in the franchise, whose popularity eventually led to a successful Saturday morning cartoon series. The collectibility is heightened for first edition books which crossover into pop culture since so many more people are exposed to the character and story. ’s selection, along with the estimated market price. The market price is for the first edition book with the corresponding first edition dust jacket, both in Very Good or VG+ condition. The list is sorted in chronological order. Some might be surprised to learn these Little Golden Book were initially published with dust jackets, one of the pre-requisites for the list. LGB’s were issued with dust jackets from 1942 to 1947, then transitioned to the now familiar gold foil spine. The LGB’s with dust jacket have a blue cloth spine so are easily differentiated from the ones published after 1947. Why Twelve Little Golden Books? While Little Golden Books have an avid and passionate collector base, they have been relatively overlooked by general booksellers and book collectors. Many wonder if they are sufficiently credentialed, therefore might ask, "Why include the first twelve Little Golden Books in the list of Top 100 Collectible American Children’s Picturebooks?" When Little Golden Books launched in 1942 at 25 cents each, they changed publishing history. For the first time, children’s books were high quality and low-priced. They were available to almost all children, not just a privileged few. Little Golden Books were designed to be sturdy (a new concept), delightfully illustrated, and to be sold not only in bookstores, but department stores and other chains (another new concept). Little Golden Books were an instant success story, even though WWII was on and paper shortages loomed. Five months after the launch, 1.5 million copies had been printed, and LGBs were in their third printing. Since then, over two billion Little Golden Books have reached the hands of children all over the world. Who hasn’t heard of The Poky Little Puppy, star of the best-selling Little Golden Book of all? It has sold well over 15 million copies worldwide, in many different languages. Tootle the Train, The Saggy Baggy Elephant, The Shy Little Kitten, The Little Red Caboose, The Tawny Scrawny Lion, and Scuffy the Tugboat soon followed, to become household names. Little Golden Books have mirrored children’s popular culture over the years, having featured Lassie, Raggedy Ann, Uncle Wiggily, Roy Rogers and Dale Evans, Howdy Doody, Annie Oakley, Captain Kangaroo, Bozo the Clown, Gene Autrey, The Lone Ranger, Smokey Bear, Disney, Warner Brothers, Hanna Barbera, Sesame Street, Pokemon, and Between the Lions characters, Mister Rogers, Barney, Frosty the Snowman, Rudolph the Red-Nosed Reindeer, Underdog, Peter Cottontail, Barbie, and others. Dr. Ruth Westheimer has just penned a story about grandparents starring herself. Many famous writers and illustrators created Little Golden Books, notably Margaret Wise Brown, author of GOODNIGHT MOON (Harper). 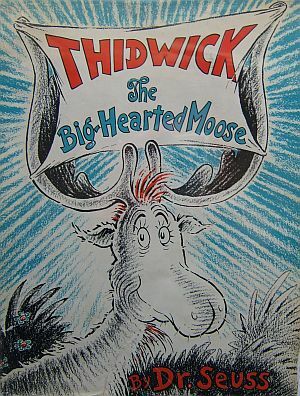 Her LGBs were often illustrated by Garth Williams, most famous for his illustrations for CHARLOTTE’S WEB, STUART LITTLE, and the "Little House" series. Richard Scarry began his career at Golden Books and did most of his most famous books here, from Little Golden Books to his beloved oversized books CARS AND TRUCKS AND THINGS THAT GO, and RICHARD SCARRY’S BEST WORD BOOK EVER! Eloise Wilkin, famous for her stunning paintings of cherubic children, illustrated dozens of LGBs. Caldecott medalists James Marshall, Tibor Gergely, Leonard Weisgard, Alice and Martin Provensen, and Trina Schart Hyman have illustrated Little Golden Books. Today, Little Golden Books are an icon. The Smithsonian Institution includes Little Golden Books and artwork in its Division of Cultural History. LGB’s have extremely high popularity with billions – billions, not millions! – of books sold! LGB’s have crossed-over into pop culture. LGB’s have had many, many highly successful illustrators & authors. From my perspective, the selection the Little Golden Books was the most strategic decision when forming the Top 100 Collectible American Picturebooks. It was not a question of whether to include Little Golden Books in the list, but instead which books to include. Five LGB’s made the Publisher’s Weekly list of All-Time Bestselling Children’s Books, with four books in the top ten (The Poky Little Puppy, Tootle, Saggy Baggy Elephant, and Scuffy The Tugboat). I debated whether to include only these five, or instead include only the first twelve. In thinking of the five most popular LGB’s, I would rate The Poky Little Puppy higher in collectibility than the other books, since it is the number one All-Time Bestselling Children’s Book, topping the list with over 15 million copies sold. Selecting only the five most popular LGB’s would leave room for seven other books, precious room since the criteria for making the Top 100 is so competitive. Finally, after weeks of solitary wrestling, I rationalized the success of the first twelve books, published simultaneously in 1942, laid the foundation for the subsequent success of the other books in the franchise. And added the First Twelve Little Golden Books to the list of Top 100 Collectible American Picturebooks. The next article in the series, The Late Great Debatable Eight, will complete the list of Top 100 Collectible American Picturebooks.